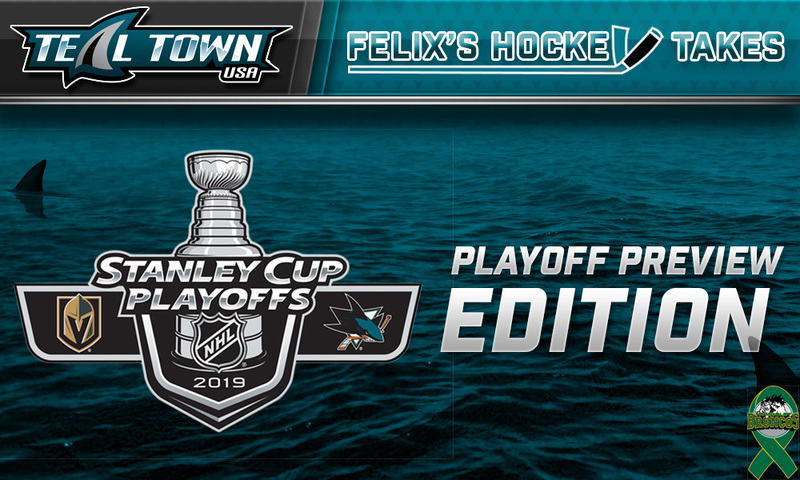 I’ll briefly go over the standings and the playoffs brackets, and then I’m going to dissect what the San Jose Sharks need to do to win the first round. Finally, I’ll talk about some non-playoff news regarding the Humboldt Broncos and former Tucson Roadrunners captain Craig Cunningham. The 2019 playoff teams have been set. In the Pacific, team teal will be making their 20th postseason appearance, as will Calgary and Vegas. Dallas has also clinched the first Wild Card spot, and Colorado the second Wild Card spot in the West. In the Central Division, Nashville, Winnipeg, and St. Louis have clinched in the top 3. In the East, Washington, the New York Islanders, and Pittsburgh have all clinched in the top 3 in the Metro division. Tampa Bay, Boston, and Toronto have clinched top three in the Atlantic. Carolina makes their first playoff appearance in 9 years, and Columbus has the second Wild Card spot in the East. When the first round starts tonight, here’s what the match-ups are going to look like. The Sharks acquired Erik Karlsson in the offseason to bolster their chances of winning the Stanley Cup. Unfortunately, in a season that’s been more up and down than Sharks fans would have liked, their Cup aspiration have dwindled against a Vegas Golden Knights team that only got better after trading for Mark Stone from the Ottawa Senators. With Marc-Andre Fleury also returning from injury, that could spell even more trouble for a team that lost 7 out of their last 10 games in the regular season. That said, let’s look at what team teal needs to do to win this series. It’s no secret the Sharks have struggled in net. Both Martin Jones and Aaron Dell have played well below what they’re accustomed to. According to Hockey-Reference, Jones sported .915 save percentage at the end of 2017-18 season. However, this season, Jones finished with a career low .896 save percentage. Same with Dell — a .914 save percentage at the end of 2017-18, and .886 save percentage to cap off this season. With Doug Wilson curiously not acquiring a veteran goalie like Ryan Miller from Anaheim, whom he was rumored to be in the mix for, or Jimmy Howard from Detroit, he’s let the team know that it’s not all on the goaltending which in all honesty, it really isn’t. I’ll touch on that more later. However, you need the goalies to make the saves when you need them most. Neither really did that much during the regular season. However, Jones has been known to up the ante come postseason. We’ll just have to hope he rounds into playoff form come Game 1 against Vegas. Hockey’s a team sport. You win as a team. You lose as a team. I’ve seen a lot of criticism on social media towards the goaltending, towards Jones and Dell, more so Jones. As I’ve said, a lot of that criticism is warranted. They haven’t played well enough this past regular season. However, I’m going to also use the Brodie Brazil argument as well. How much of those goals-against were on Jones and how much were on the five guys in front of him? Brent Burns still keeps going out of position defensively. Joakim Ryan hasn’t been great either. Then you look at the usual shutdown pairing of Marc-Edouard Vlasic and Justin Braun, and neither have had a great year defensively either. I will say Vlasic definitely looked like he was rounding back into his usual self after the All-Star Break. However, this has to be a career-worst season for Braun. I know there are some fans who absolutely despise the plus-minus stat, but Braun finished the regular season with a career-worst -14. Vlasic finished the 2018-19 regular season with a -6 rating. Plus-minus aside, Braun has also made some really questionable decisions with the puck, with 51 giveaways this season. I feel like the best defensively sound defenseman this season has to be Brenden Dillon. I really think he’s made some serious strides skating wise and fine tuning his overall game since the Cup Final series against Pittsburgh in 2016. Even without Erik Karlsson who’s had a bit of a rough and unfortunate season with injuries, he’s looked pretty solid for the most part. 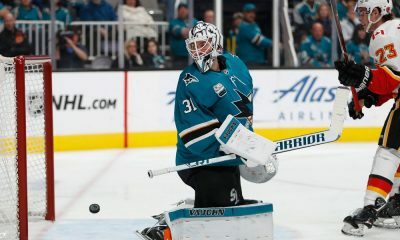 The Sharks will be without Radim Simek as he’s out for the series still suffering from a knee injury sustained in a game against the Winnipeg Jets. I feel like defense is going to be of utmost importance for this team. In the past couple games leading up to end of the regular season, this team has struggled keeping pucks out of their net. In the month of March alone, they allowed 52 goals-against total, the biggest loss going against the rival Golden Knights in a decisive 7-3 drumming. Not to mention that loss came at home at the SAP Center. So, play as a team. Play for each other. This is probably the best time ever for the Sharks on paper to win the Stanley Cup. Obviously, the regular season didn’t go the way they’d hoped, certainly not for us fans. This team has to battle through injuries. They’ve had to struggle. They know what it takes. A lot of people, at the beginning of the season when Doug Wilson traded for EK65, had this team pegged as one of the favorites to win the Cup aside from the Tampa Bay Lightning. Now, after all their struggles in the regular season, is the time for this team to once again prove their doubters wrong. You gotta play as a team. You gotta play for each other. And hell, you gotta play for Jumbo. We don’t know what Thornton’s future is after this. Maybe he takes another pay cut at 40 years old. Maybe he signs as well. But this might be the best shot this team has at winning a Cup for Jumbo as well. Guy’s a bonafide Hockey Hall of Famer. He deserves it. This is a key that goes into playing as a team. The Sharks have given up far too many goals at the start of a game. Playing from behind is never a good proposition, because then you’re just chasing the game. Start on time. At the very least, keep the puck out of your net in the first five minutes of the opening frame. If you can, score a goal. That way, you have momentum on your side. Starts are going to be incredibly important against this Vegas team. 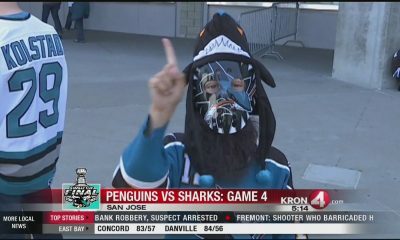 Usually, the Sharks have a statement win in a season when they show great character in a victory. That hasn’t been the case so much this season, aside from maybe the seven-game winning streak in January. 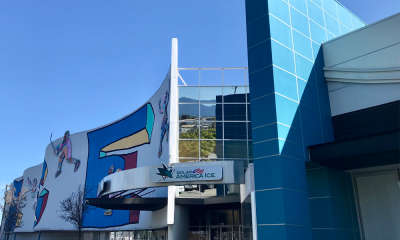 I think if they really establish home ice advantage (I know some people hate that narrative) and win the first two games of the series, and then win a game on the road at T-Mobile, the Sharks could potentially be up 3 games to 1 in the series. Of course, if San Jose wins Game 5 at home, it’s over. Sharks advance to the next round. If the Sharks lose Game 5 though, they’d either have to win Game 6 or 7. Obviously, Game 7 is a must-win situation for both teams. Point is, the Sharks need to make a statement with this series. Are they still as good as they appear on paper? That relies on a number of factors. I talked about the goaltending and how Jones has to be better. Will EK65 be back to his old self and be the same player that almost carried the Ottawa Senators to the Stanley Cup Final a few years back? Will Joe Pavelski continue his career year? Will his play in the regular season carry into the postseason? There’s no question of whether or not Tomas Hertl will be able to provide the same effectiveness he’s had throughout the regular season. But for Hertl, can he stay healthy? We know he has a history of injuries. See 2016 Stanley Cup Final. Will Joe Thornton step it up into the playoffs? Of course, you’ve also got Evander Kane and Timo Meier. Like I’ve said, this is the year for the Sharks to show the league what they’re made of. There’s never been a better time to get it together and play every game and every shift like it’s their last. Like Bret Hedican always says on the broadcasts, stay in the moment, and seize the moment. This is true in any playoff series, but it especially holds true against Vegas. Don’t give the Golden Knights any freebies. Vegas is a team that thrives on the transition game. They have guys that move the puck up the ice quickly, so if you turn the puck over, they’ll make you pay. The Sharks will be spending a lot of time in their own zone if they don’t manage the puck. So, puck management is going to be absolutely critical. The Sharks pretty much need this series win. If they can get past the Vegas Golden Knights, they’ll have a really good chance of going back to the Stanley Cup Final this year. If they don’t win, well then they’re out of the playoffs. The players are going to have a lot of soul searching to do in the locker room, and it’s very likely that Peter DeBoer’s assistants are going to get the pink slip. Not to mention I feel like PDB is going to be on the hot seat moving forward into next season. The Sharks have the talent to win. Both teams have the talent. It’s just the matter of how they utilize that talent. Of course, goaltending is going to be a key in this series. It’s that time of the year, folks! The fans are playoff ready. The intensity’s going to be up a couple notches. At this point, although I did throw out some regular season stats in this preview, regular season doesn’t matter. It’s all about how the team does now in the playoffs. Playoff Mode is definitely ON, but for just how long will it stay ON? We will see. Saturday, April 8th marked the official one-year anniversary of the deadly crash in Humboldt, Saskatchewan that killed 16 people and left 13 injured. The hockey community paid their respects with a tradition that was started after the tragedy, sticks out. Teams around the NHL also left a stick outside of their locker rooms. Obviously, what a great gesture to the Humboldt community. They’ll always be remembered. Former Tucson Roadrunners captain Craig Cunningham has shown massive improvements on the ice since returning from a scary health related incident that required heart surgery and a leg amputation. A video of him skating on a prosthetic skate went viral on social media last Wednesday. Cunningham was on the ice on Nov. 2016 against the Manitoba Moose of the AHL when he suddenly collapsed just prior to faceoff. The aftermath of the incident was one of the most amazing medical miracles to this day. Cunningham now works as a scout for the Arizona Coyotes. 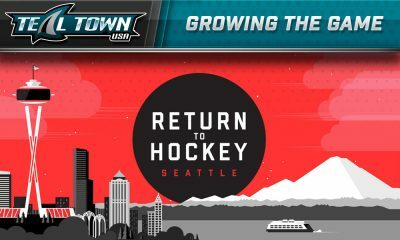 We here at Teal Town USA wish him all the best in his post-playing career.